Memorial weekend is almost here. Time for cookouts, swim parties and picnics! make it ahead of time and keep it in the fridge until you are ready to serve it. I made the cake in two 8 x 8 pans instead of a 9 x 13.
super nice people at Hamilton Beach sent to me. but it still had heavy duty mixing action! The non-stick feet on the bottom of the mixer kept it in place, which I really liked. 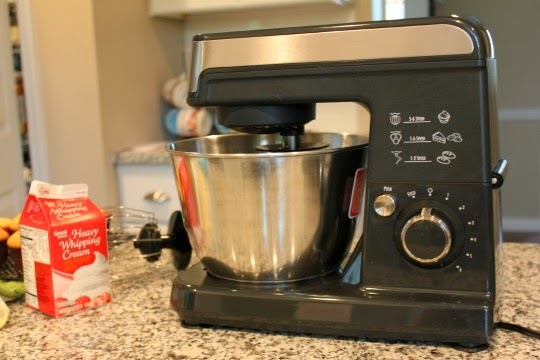 The Hamilton Beach stand mixer came with three mixing attachments, the flat beater, dough hook and whisk. It has 6 speeds and a fold setting for maximum flexibility. 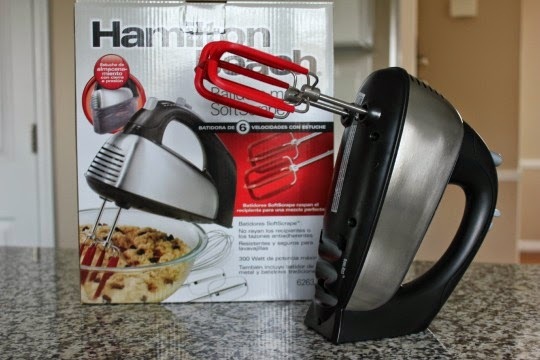 Hamilton Beach also sent me their Soft Scrape Hand Mixer. The soft scrape beaters won't scratch bowls or non-stick pans, which is a great feature! I love the snap on storage case to keep all of the attachments in one place. Hamilton Beach thinks of everything! Now back to the cake. 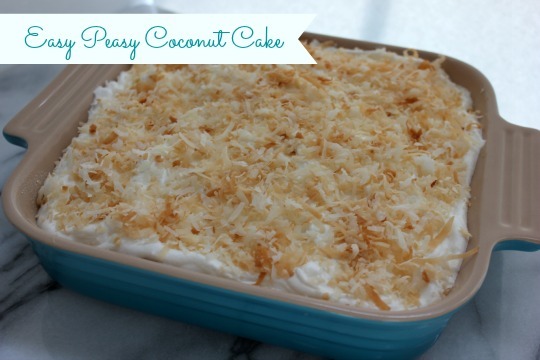 You don't have to toast the coconut topping, but why wouldn't you?! Toasted coconut is the bomb! eat it by the spoonful right out of the oven too. P.S. 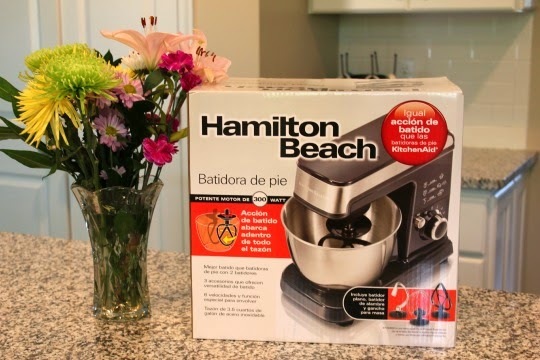 Be sure to stop back by here again soon, because Hamilton Beach and I are going to give you the opportunity to win your own set of fabulous mixers!! Grease and flour a 9 x13 inch baking pan (or use two 8 x8 pans like I did). 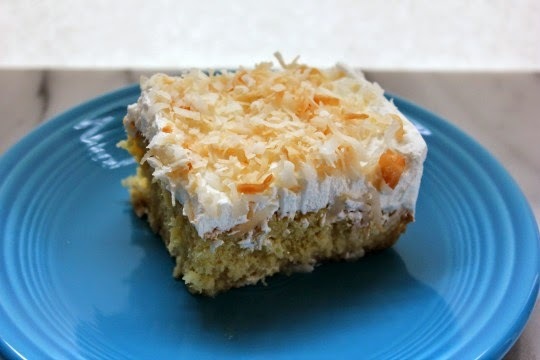 While cake is baking, whisk the cream of coconut and sweetened condensed milk in a medium bowl. Remove baked cake from oven and immediately poke holes all over the cake with a fork. Pour the milk and coconut over the hot cake. Allow the cake to cool on a wire rack and the refrigerate until cold. 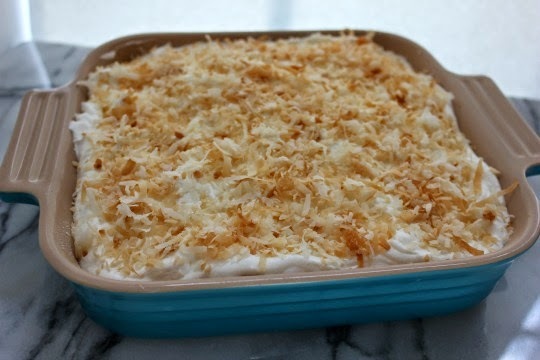 Top with whipped cream and toasted coconut. Refigerate until ready to serve. To toast coconut - spread coconut out on a cookie sheet and place it in a 350 degree oven for about 10 minutes. Stir it often to prevent burning. Remove from oven when the coconut is light brown.